If you’re looking for one of the best AWD sedans for sale near Arvada, you’ll find plenty to choose from right now at Fisher Acura in Boulder, CO. At our dealership, we have some new Acura AWD sedans for sale now, including the Acura TLX with Super-Handling All-Wheel Drive™ (SH-AWD®), as well as used AWD sedans like the Subaru Impreza. Get around in Fort Collins more easily this winter in an AWD sedan from our dealership! Nav System, Heated Leather Seats, Turbo Charged Engine, Aluminum Wheels, All Wheel Drive. NSX trim, Thermal Orange Pearl exterior and Ebony interior. Warranty 6 yrs/70k Miles - Drivetrain Warranty; READ MORE! KEY FEATURES INCLUDE . MP3 Player, Aluminum Wheels, Remote Trunk Release, Keyless Entry, Steering Wheel Controls. Acura NSX with Thermal Orange Pearl exterior and Ebony interior features a V6 Cylinder Engine with 573 HP at 6500 RPM*. WHO WE ARE Fisher Auto of Boulder serves the greater Denver area including Longmont, Broomfield, Lafayette, Louisville, Erie, Westminster, Thornton and Brighton. Stop in today or call 303-245-6406 to speak with a brand specialist. THE INFORMATION INCLUDED ON THIS WEBSITE DOES NOT CONSTITUTE AN OFFER TO SELL. THE INFORMATION MIGHT BE INCORRECT AND THE DEALERSHIP IS NOT LIABLE FOR ANY ERRORS. Accessories and color may vary. Get More Traction in Frederick with an AWD Sedan! 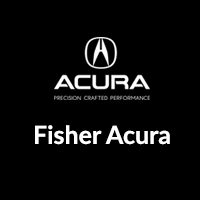 Drivers in Boulder, CO can get the confident handling of AWD in a sedan at a fair price right now at Fisher Acura, where we have affordable prices and competitive financing options. And when it comes to maintenance and repairs, you can always count on our state-of-the-art Acura service department and our certified Acura technicians. Got questions about our AWD sedan? Feel free to give us a call anytime!